Domestic cats are one of the most adorable breed of cat family that continue to excite thecomfort of our stay at home. Cats have continuously earned their respect from the significance it attaches in a family. These friendly animals are not only used to trap mouse, but they are considered also as a genial house pets that are to be treated as one of the family. 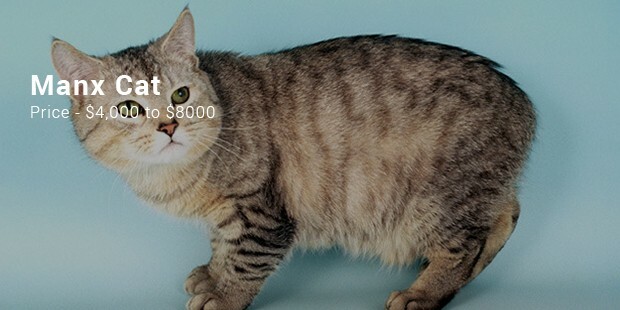 Due to this reasons the cat agency in connection with the government has enacted laws that make cats more expensive to acquire within some states. Ashera is the other name given to this cat. 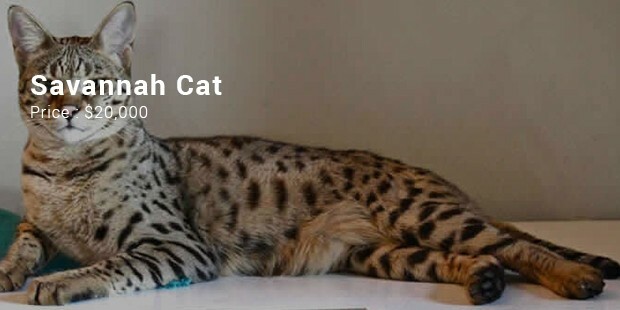 It is a cross breed of other domesticated house cat, particularly a gene of the Asian Leopard cat and also other African Serval cats breed. 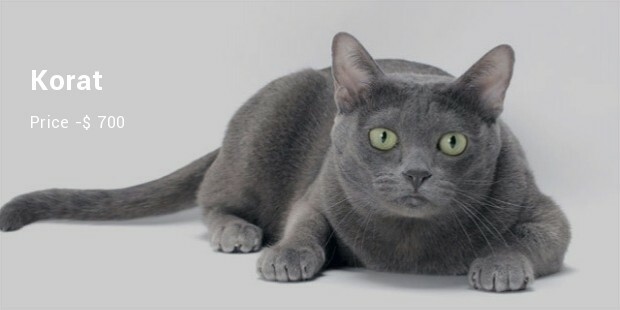 This cat is known mostly with its large ears, very intelligent, loyal and affectionate. 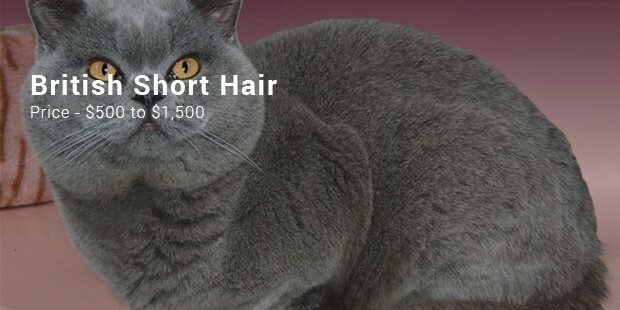 Their prices may amount to 20,000 dollars each, and can be sold four time their real market prices, as they are the rarest breed of cats available. It is a hybrid breed of domestic cat that is spotted like an Asian Leopard, with gorgeous wildcat looks, with light or rather white belly. 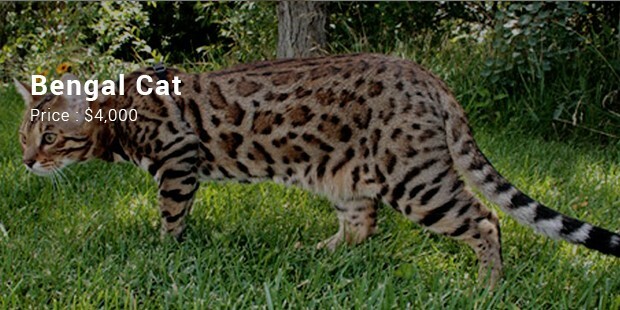 It is a cross breed of serval and other domestic cats and largely known for its gentle temperament, loyal as domestic dogs and with surprising intelligent. Caution should be observed to keep this cat exposed in its initial stages of growth. 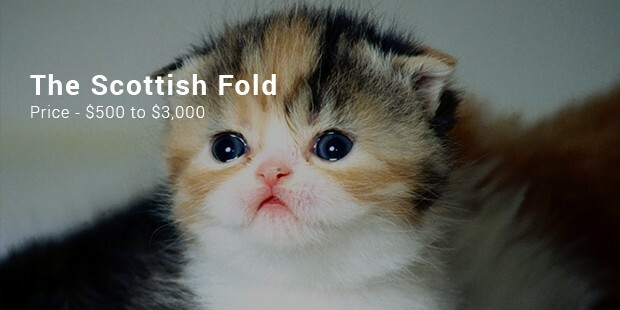 Manx cat is another most expensive animal in the world. It is an offspring emanating from products of natural genes, occurring normally from mutation, and with a distinct short stub tail. It is a primeval breed originating from the Isle of Man in Irish Sea, and overtime evolved from short hair to long hair during the Viking rules. They have good hunting skills, a vibrant personality and priced at about 8,000 to 4,000 dollars. This breed originated from Russia. They are also characterized by webby feet and paws and long slim tail. They cost between 500 to 3,000 dollars. This is prized at 500 to 3,000 dollars. This Scottish breed was originally known as lop-eared due to its characteristic lop ear. They tempt to cope well in families with other pets and children. 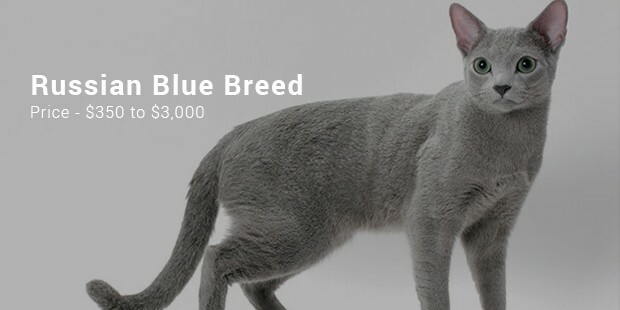 The Russia blue breed costs 350 to 3,000 dollars. They have adorable silver blue court a time calm and very playful. This one appears at the seventh place. It is widely known by its lack of far, having wedge shaped heads. They cost 300 to 3,000 dollars. 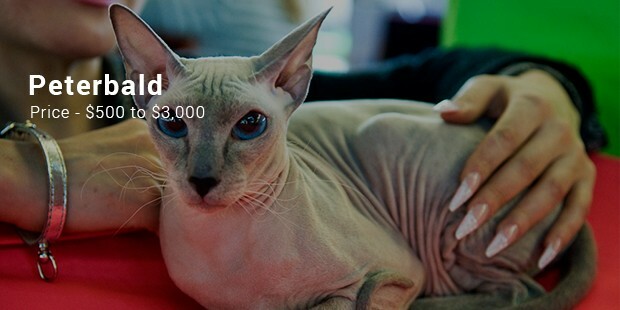 This cat costs between 500 to 1,500 dollars. 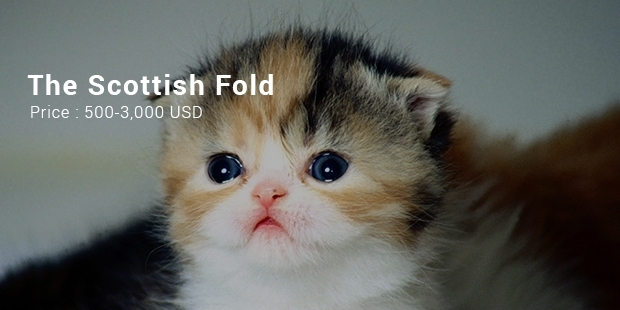 This British breed is square shaped in appearance with golden big round eyes. 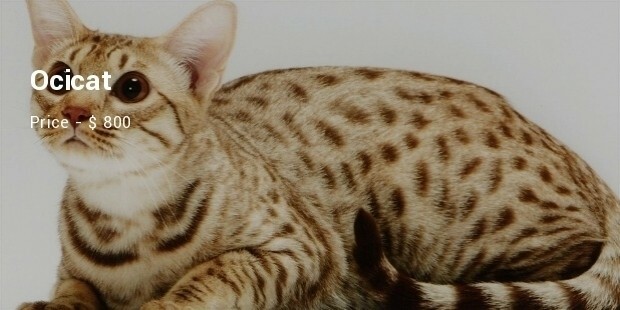 The Ocicat is a lively cat, and the best part is that it is very outgoing. They are very smart and agile – this is the reason that people prefer this cat as a pet. 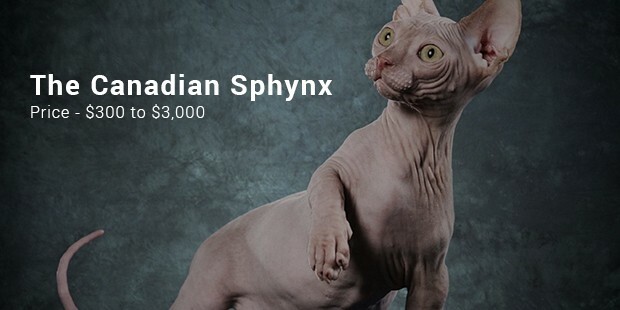 The approximate cost of this furry friend ranges between US$700-800. The life span of the Norwegian cat is about 10-12 years. It is a playful and curious cat thus most wanted a pet of the households. 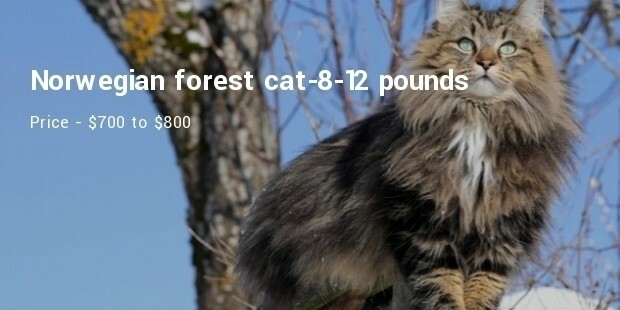 This cat has a long life – it lives for about 20 years. It looks royal and worth as a pet. 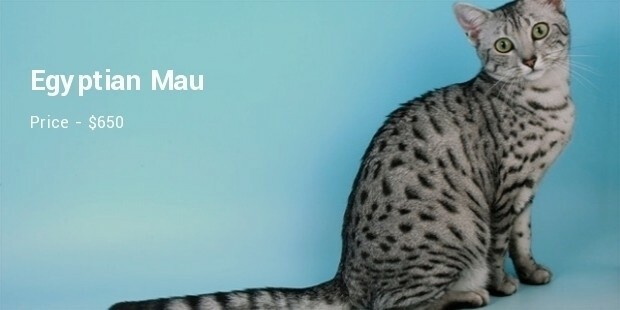 The Egyptian Mau remains loyal to the family; it is playful by nature and at the same time very sharp and intelligent. 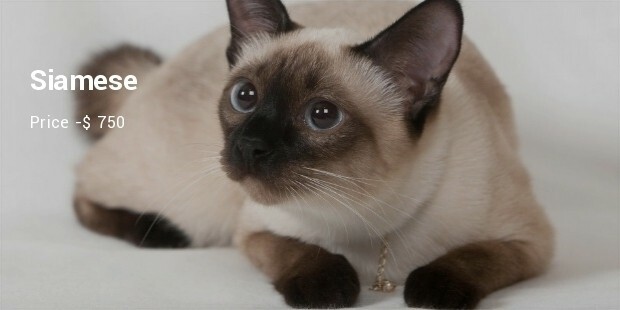 The eyes of the Siamese cat itself are so bright and sharp that they shine even during the night. They are very clever and lively – they never get tired and are always quick and agile.